What are ACU Closing Costs? In the market for a new mortgage? We'd be thrilled to discuss your mortgage needs! Call us at (972) 494-5328 Main Office or (417) 881-0482 Springfield, MO Office or (800) 543-2811 toll free. Ready to get started? Apply Online Now. Every home sale incurs fixed costs. Buyers and sellers customarily split these costs, as specified in the sales contract. Many of the costs associated with buying residential real estate are associated with getting a loan. At America's Credit Union, we are highly experienced in residential mortgage lending, so we can provide you with a comprehensive report on costs related to your mortgage in the form of a Loan Estimate. 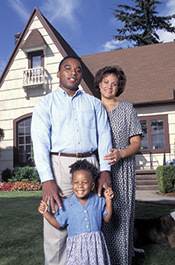 Soon after you submit your application, we will provide you with a Loan Estimate of your closing costs. We base this cost estimate on our many years of past experience. Please note that while our LE's are very accurate, we cannot always predict closing costs to the penny. We will be glad to review the Loan Estimate, answering your questions and pointing out costs that sometimes vary a little bit at the closing table. We've provided a general list of these costs below, but we'll provide you a specific list of closing costs, with amounts, soon after you complete your application. At America's Credit Union, we don't believe in surprises, so if your costs change, we will be sure to let you know immediately. America's Credit Union can answer questions about these closing costs. Give us a call: (972) 494-5328 (Home Office) or (417)881-0482 Springfield, MO branch or toll free (800) 543-2811.